I am a little late on reviewing this box due to going on holiday just after it arrived, but better late than never! My second treasuretress box was filled with goodies for a length check, by Mielle Organics mongongo line. 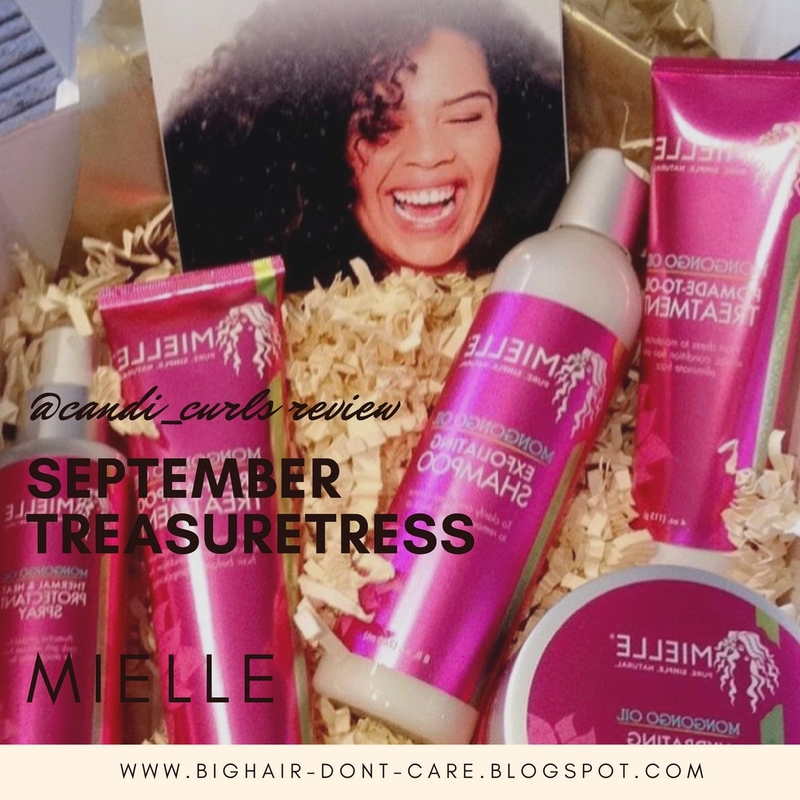 Once again, Mielle Organics, is another brand which i have seen alot of and had added to my list, so a huge thank you to the team at treasuretress for this one. The box contained 4 products as always, but this time it had a bonus product, making it 5! They can all be used on curly hair, but are also perfect for the temptation to straighten your hair and do a length check, which is exactly what i did! First up is the Pomade-to-oil Treatment. 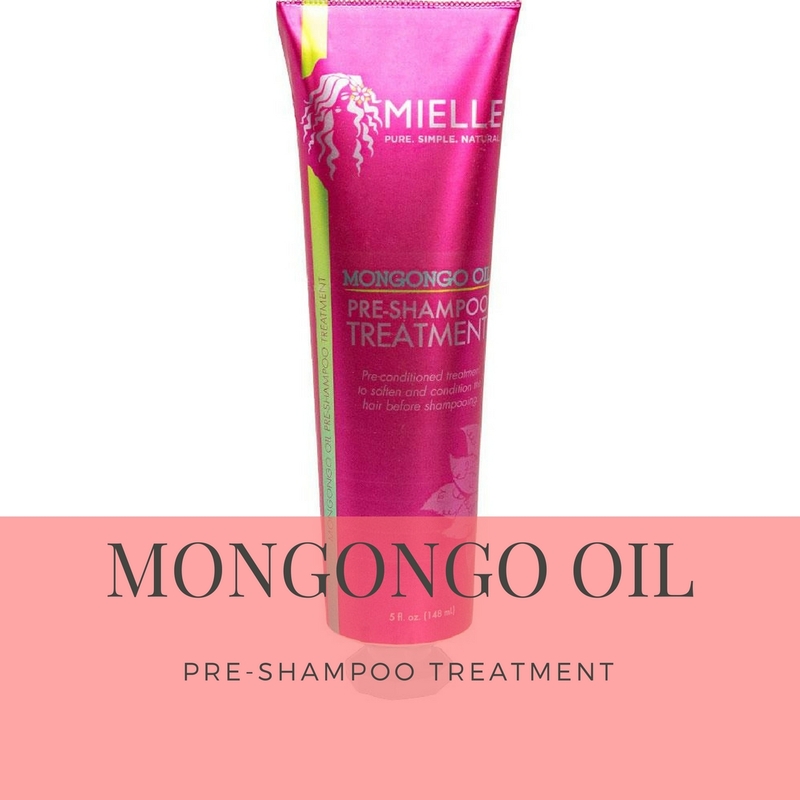 "Hair dress to moisturize scalp, condition hair and eliminate frizz"
"Gently apply a small amount into the palm of your hands and rub together. Apply to damp or dry hair, working into hair and scalp. Style hair as desired." This product is my second favourite out of the set, and am almost out of it. I was unsure at first as i have never used something like this on my hair, but once i rubbed it into my hands, it melts away and becomes and moisturiser and oil in one, just like the bottle tells you. I have used this both on curly hair, and when i straightened my hair for a length check. Would i purchase this again? YES! My hair felt soft, was frizz free and a little went a very long way. The smell takes a little longer to get used to, just as most of my other hair products smell of coconut and fruits, whereas this does not. It is a nice smell, just not one i am used to. Next up we have the Pre-Shampoo treatment. This is the product i was most excited about trying out. 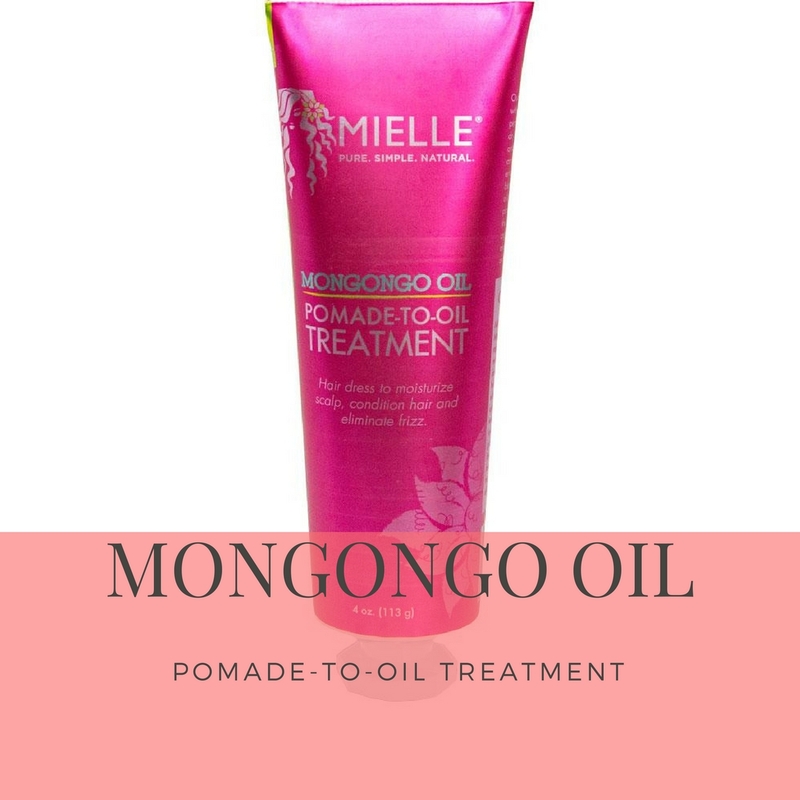 I love a good pre-poo on my hair, as it HATES shampoo and the way it strips too much of my oils away, so i could not wait to give this one a go. 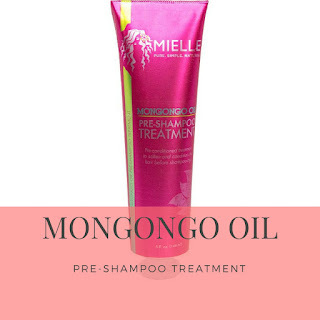 "Pre conditioned treatment to soften and condition the hair before shampooing." 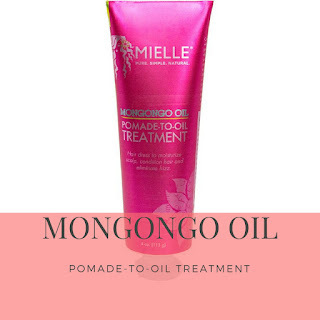 "Divide hair into four sections, spray the prepoo treatment directly on the scalp and massage. Cover hair with a conditioning cap. 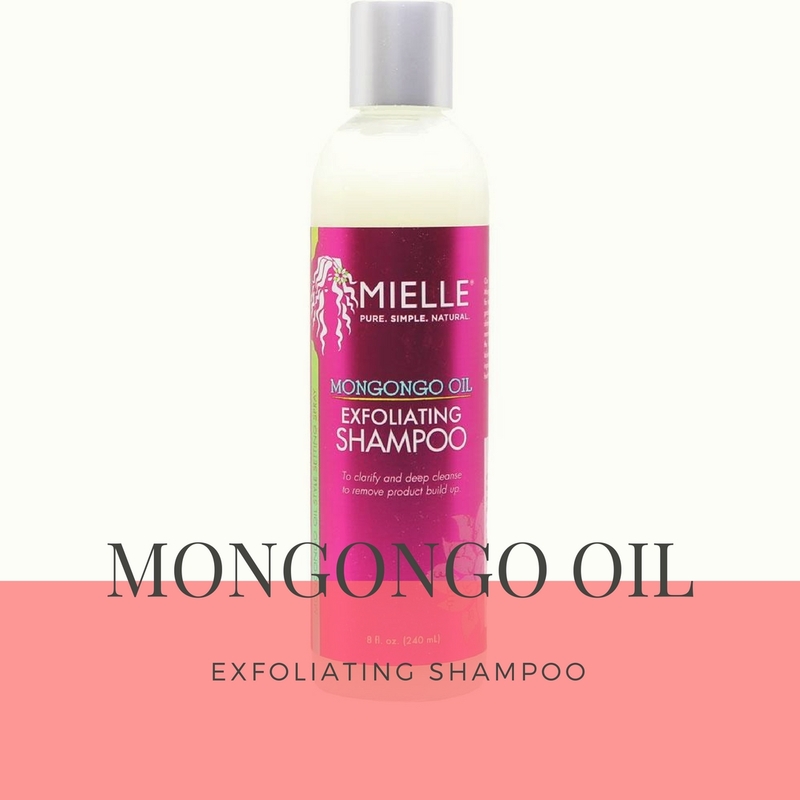 Do not rinse, follow up with our Mongongo oil exfoliating shampoo." I had a few issues with this product. Firstly, the fact that it says to "spray" onto hair. This comes in a tube and not a spray form and so the directions make no sense. Due to the fact i have pre-pooed my hair before i just edited the directions and squeezed some of the product onto my scalp and massaged in. For a person who has never prepooed before, i think this poses a few problems. Am i using it right? Will it work the same? I think it is quite misleading. This product smells of peppermint, which i got excited about as i know the benefits of peppermint oil on your scalp and for hair growth. Would i buy this product again? NO! I didn't really notice any difference in the feel of my hair after shampooing, as i have done before when i prepoo with normal oils, and i think this may be down to the directions and the confusion on using the product and not the product itself. I have used it twice and felt each time like i was just longing out the wash day process without any actual benefit. However, i am of course, going to try it again. The Exfoliating Shampoo comes next. "to clarify and deep cleanse to remove product build up"
Apply a dime size amount into your hands and massage on the scalp on wet hair until it lathers. Leave on for two minutes and rinse with warm water. Repeat once. 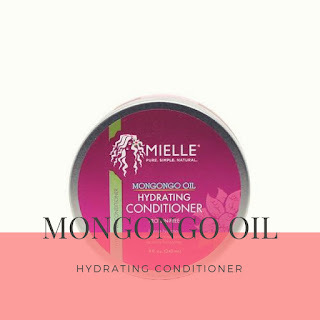 Follow up with our Protein Free Hydrating Conditioner with Mongongo Oil. For external use only. Avoid eye contact. Keep out of reach of children. As far as shampoos go, i didn't have any actual issues with this. My hair didn't feel as good as my go-to shampoo, but then i have tried worse ones. Again this has a different smell to the other products i have talked about so far. It is very fresh smelling and is white in colour. It looks a little sticky as far as shampoos go, but other than that seems like any other shampoo. Would i buy this product again? Probably not. There was no actual issue with the shampoo, i just prefer the brand i am using and found this a little meh. The shampoo says to leave on for a few minutes as well, which i did on the first wash with it and repeated as it says. The second time i used the shampoo i didn't. I am not a shampoo twice kinda girl. Every curly girls fave and must have product is a conditioner. Mielle gave us their Hydrating conditioner. "intense hydration protein-free conditioner for versatile hairstyling"
After shampooing, apply to clean, wet hair and gently comb through from roots to ends. Leave in for 15 minutes. Rinse thoroughly. The conditioner in this range comes in a tub, rather than a bottle. Where i prefer this when it comes to my hair lotions and creams, it was a little strange for a conditioner. Due to the amount that a curly girl like myself uses, i feel like there was a little less in this than my usual bottles. The smell of this one is similar to the shampoo. This conditioner is protein-free. Where some peoples hair is better with less protein, mine is not. This conditioner did nothing for my hair at all in terms of making it softer and hydrating it. I have used it once only, because i hated the results that much. I ended up needing a protein mask. The bonus product we got in our treasuretress box for September, and the final product here, is this Thermal & Heat protectant spray. "Protective product for curly girls who use heat for straightening hair." "Spray on wet or dry hair, style as desired. For best results apply to hair prior to heat application." As someone who doesn't straighten my hair, i used this product on mine before diffusing with heat. It smells like a hair spray would, but does not leave your hair feeling sticky in any way. 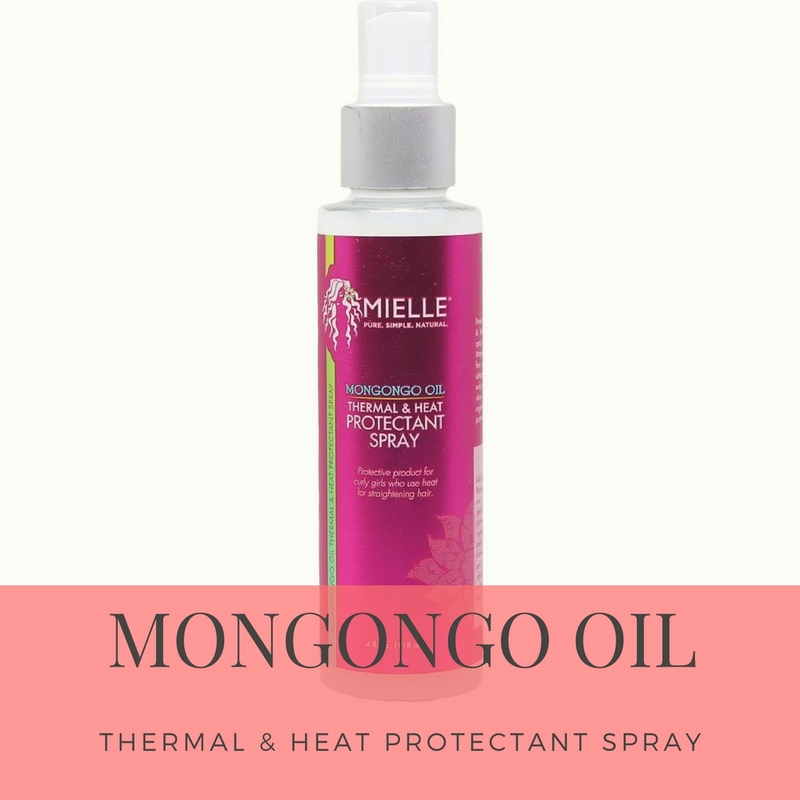 I am actually almost out of this product, and have spoke about it alot on instagram posts because of the way it helped my hair to stay frizz free during the diffusing process with heat. Would i buy this product? HELL YEAH! This is my absolute favourite out of September's box, and i need to purchase more very soon. My hair frizzes a lot when i apply heat to it sometimes, but using this spray before diffusing, and in the middle of diffusing, has decreased this amazingly. It is a 10/10 product for me. Did i do a length check and blow out my hair as this box hinted at? Yes i did. I have never blown my own hair out either, and i was pretty impressed with the result. Where i think some of these products do not work with curly hair, i think they work great when you have straight hair.